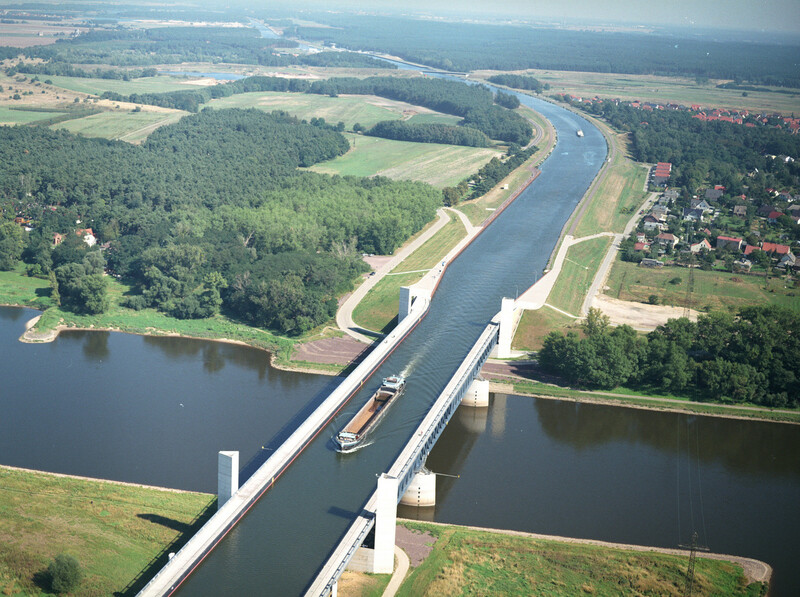 The Magdeburg Water Bridge (German: Wasserstraßenkreuz) is a navigable aqueduct in Germany, opened in October 2003. 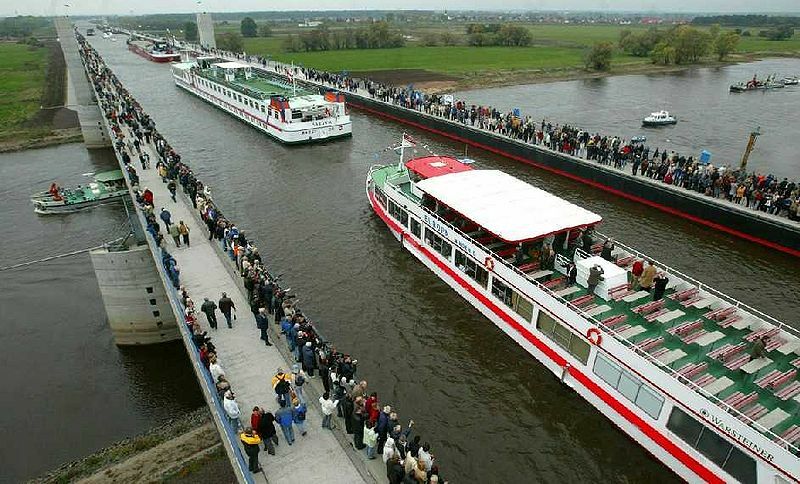 It connects the Elbe-Havel Canal to the Mittellandkanal, crossing over the Elbe River. It is notable for being the longest navigable aqueduct in the world, with a total length of 918 metres (3,012 ft). Really it is another wonder of the science. We do salute German people and men who have constructed this mega structure without disturbing the nature. I believe that, soon it will be enlisted in the world wonders. I wish more and more success and development of Germany. Stay up the good work! You already know, lots of persons are hunting around for this info, you could help them greatly.